Add colorful ambiance to your backyard with the Solar Hanging LED Lanterns by Pure Garden. This set of 4 paper-look nylon lanterns are easy to set up; simply open the accordion-style body and hang with the included hook. 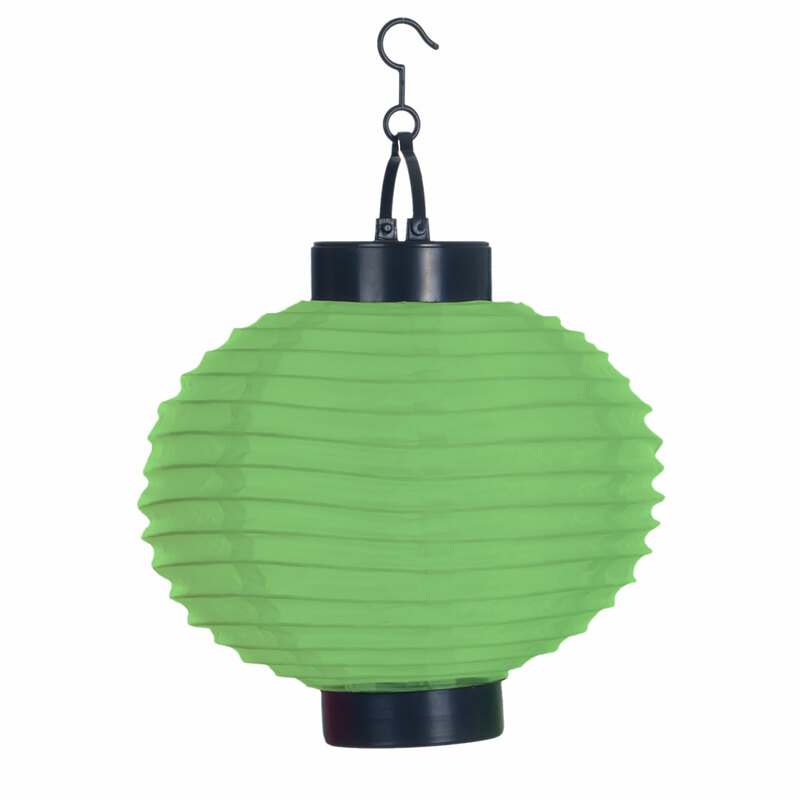 The lanterns are virtually maintenance free and eco-friendly. The LED bulb is powered by a solar panel and rechargeable AAA battery and features an automatic on function at dusk. Once it’s switched on, the lantern provides up to 6 hours of soft lighting for parties, festivals or gatherings with friends and family. It also makes great mood lighting for simply relaxing on your patio in the evening. 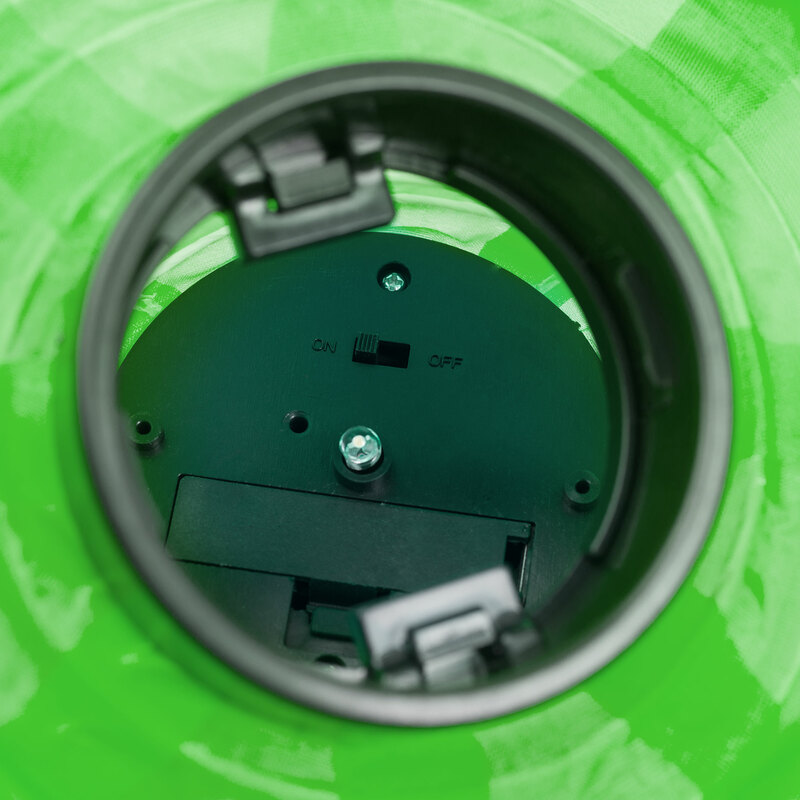 The top of each lantern easily twists off for access to the on/off switch to save battery life on nights where they’re not needed. The round shape and color of the lanterns is beautiful both during the day and at night, bringing charm to your backyard, patio or gazebo. ECO-FRIENDLY- These lanterns feature a built-in solar panel and include a rechargeable AAA battery to power the single LED bulb. This eliminates heavy metal waste from traditional disposable batteries and saves you money in the long run. EASY SET UP- There is no need for tools or wiring to start using these lights. Simply open the globe-shaped body of these accordion-style lanterns and hang them anywhere and in any configuration with the included hooks. 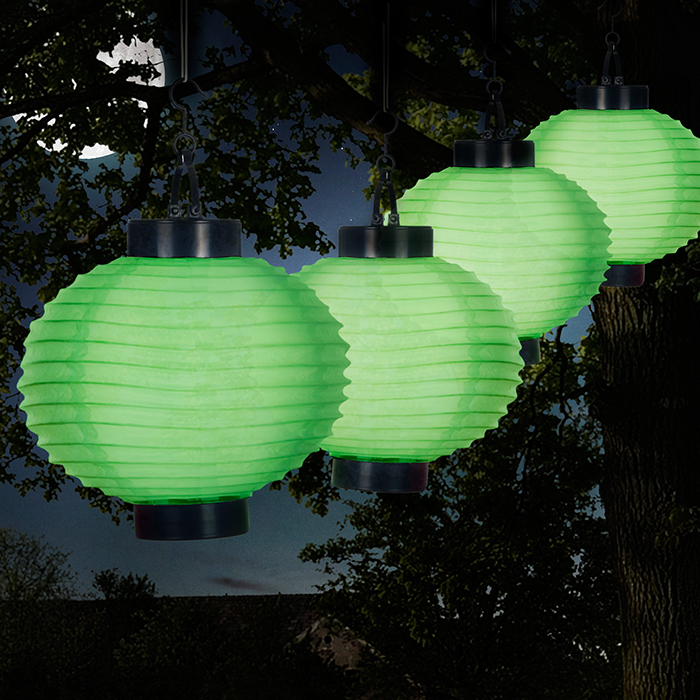 ATTRACTIVE- The shape, lighting and color of these outdoor lanterns looks great either during the day or at night. They add appeal and soft mood lighting to any space for parties, festivals or gatherings with friends and family. 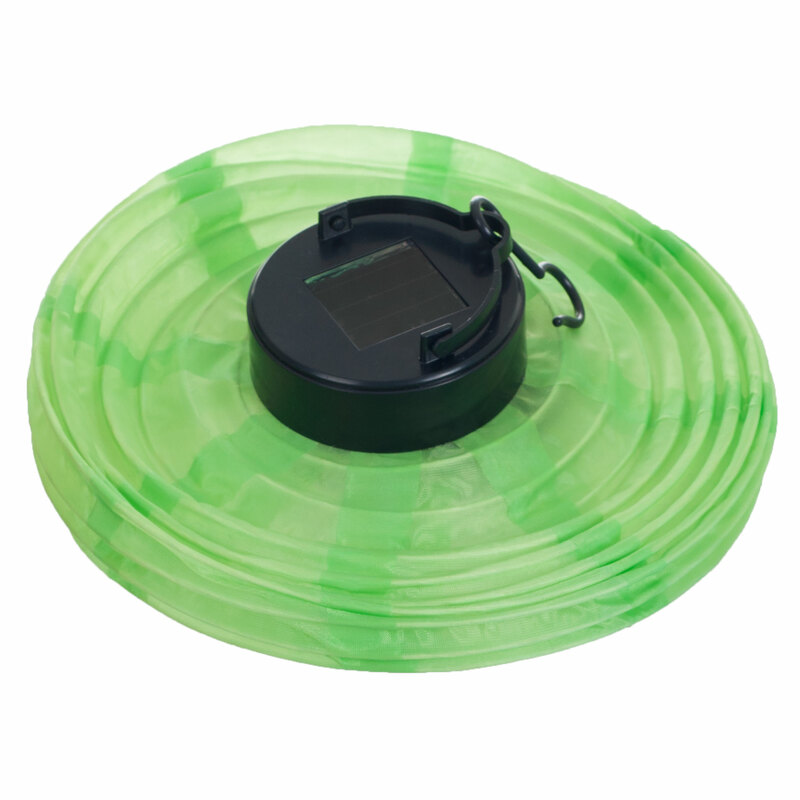 LONG LASTING- These lanterns provide up to 6 hours of steady, smooth lighting on a single charge from the solar panel and rechargeable AAA battery. Before the first use, place the lantern in direct sunlight for at least 48 hours. PRODUCT DETAILS- Materials: Nylon, Polypropylene, Ni-Cd Battery, LED bulb. Dimensions: 8” Diameter. Rechargeable AAA Battery Included. Color: Green.